---Recharge battery while you continue to play. 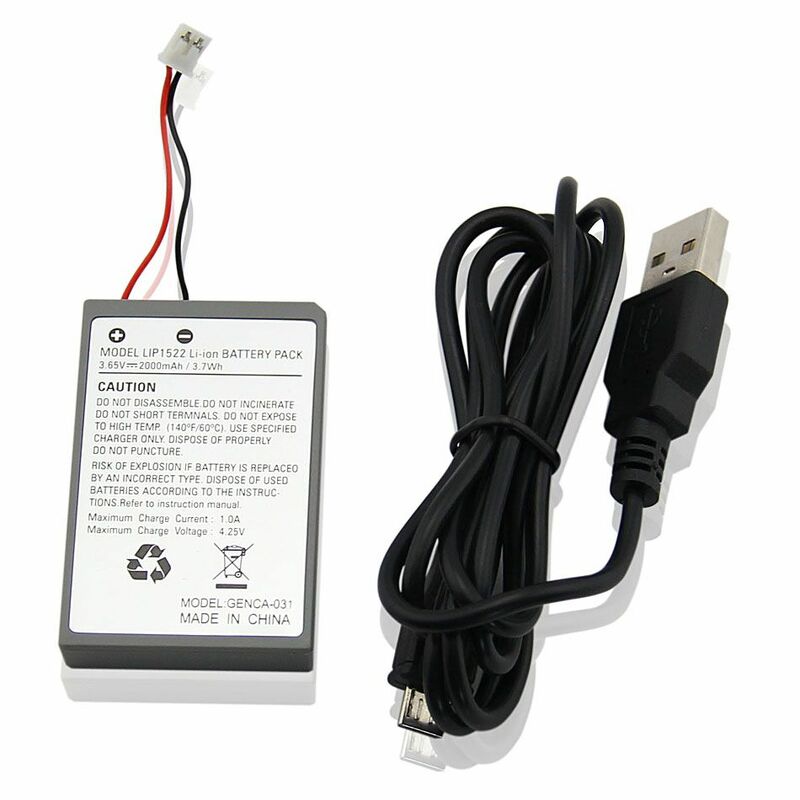 ---Charged by USB cable via your controller or USB device. 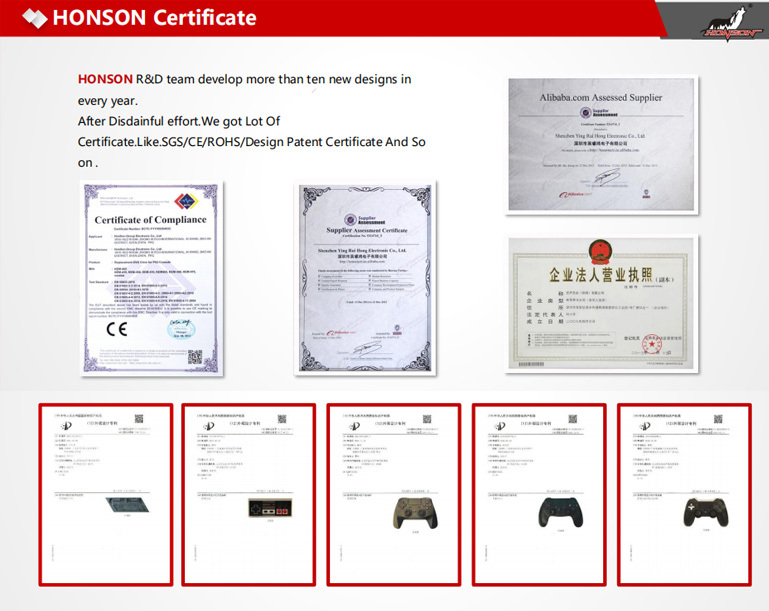 HONSON Group is located in shenzhen city , which is well known as " The Capital of Electronics in China . worldwide brand companies , Amazon sellers and distributors . 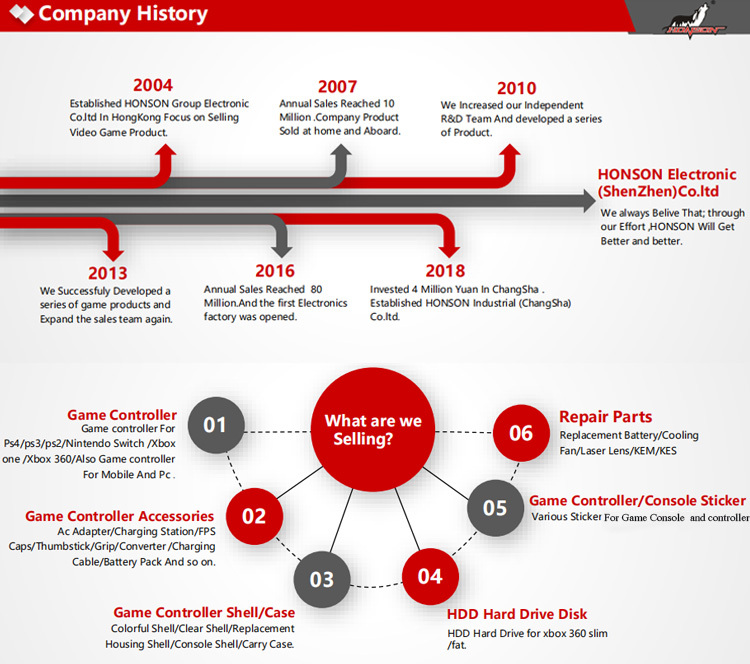 With more than 14 years experience in game accessory design and production, we are confident that we have The capabilities to build up a prestigious brand domestically and worldwide. HONSON are willing to build a business relationship with your firm on the basis of equality , mutual benefit ! Question1: Do you provide OEM service ? A1: Yes, we can offer OEM service. Logo can be printed on the items according to customer's request. Question 2: Do you have warranty of the products ? A2: Yes, we have warranty of our products. The warranty usually for 3 -6 months. An we can provide technology support & service after sales. A3:By express courier such as DHL,EMS,UPS,TNT, etc. or by airway, it's depends on your requirement. The tracking Number will be informed once package delivered. Question 4: What's the terms of payments ? A4:We usually accept T/T&WesternUnion &MoneyGram, based on the QTY of the order. Question 5 : When will you arrange the delivery ? A5:The delivery will be arranged within 2-15 days of the receipt of the payment. The supplier is ranked number 8 by transactions data in Video Game & Accessories. The supplier is ranked number 16 by responses data in Video Game & Accessories. The supplier has delivered 97.4%% of their orders on-time in the last 180 days.